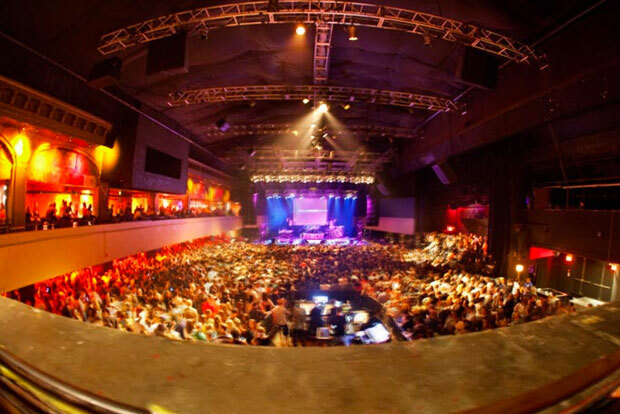 Engadget: Live from Engadget's reader meetup at Roseland in New York City! Live from Engadget's reader meetup at Roseland in New York City! If you're reading this from New York City, it's time to close that laptop lid and head down to our reader meetup at Roseland Ballroom! The party is just getting started, and we'll be here until 10 tonight. There's plenty of food, drinks and an absolutely insane number of gadgets to give away. For those of you stuck at home, we hope to see you at another event in the very near future, but for now, you can click on through to our liveblog to catch all the action from Manhattan.